Just a day after releasing her highly anticipated debut album Invasion of Privacy, Cardi B delivered another piece of highly anticipated news on Saturday and it’s making waves. The fast-rising 25-year-old star showed off a distinguishable baby bump as she appeared on weekly comedy show “Saturday Night Live,” becoming a top trending topic on social media. 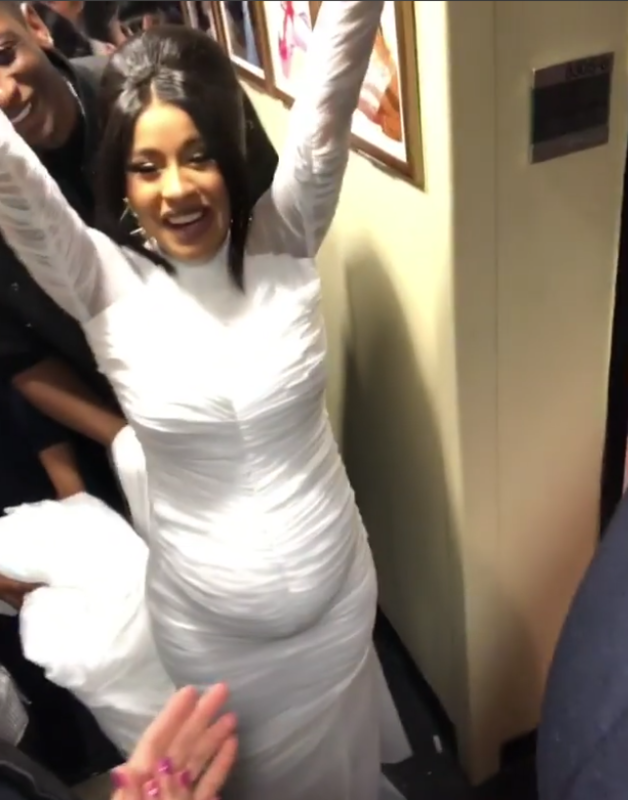 In a thrilling confirmation to persistent pregnancy rumors, Cardi B took the stage twice on “Saturday Night Live,” first concealing her body with a fur coat and when she returned to rap “Be Careful,” she donned a body-hugging white dress and smiled teasingly as the lights shone on her protruding belly. Cardi B, a Bronx native whose real name is Belcalis Almanzar, has quickly found stardom with her hard-driving rhymes and she is definitely not letting the pregnancy slow her down. The gossip site TMZ earlier reported that Cardi B is due to give birth in early July.